Citizen City explores the potential of cross-sector partnerships among private developers, nonprofits and various levels of government to share a portion of the wealth created in real estate developments to support the greater good. By orchestrating these partnerships and championing social causes, architects are able to achieve socially valuable urban planning goals such as affordable housing and community amenities that promote a vibrant urban culture. The book highlights the success and failures of such partnerships with 11 case studies of building projects in Vancouver, BC. The projects, led by Henriquez Partners Architects and collaborators from all sectors, are in varying stages of development from concept to completion. It is hoped that the lessons of these cross-sector partnerships will aid the creation of a more vibrant, just, community-oriented city — a Citizen City — and continue to improve Vancouver. Additionally, these important projects may help guide other North American cities towards a more just existence. 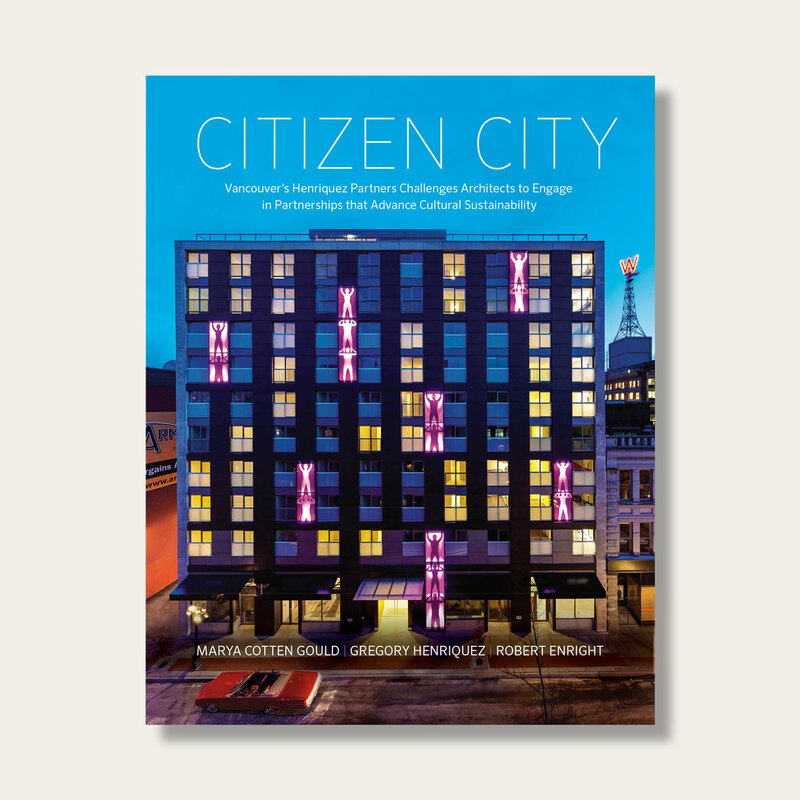 Citizen City also touches on the role of the design community as thought leaders and relationship builders, and contains a provocative message from Gregory Henriquez challenging a new generation of architects towards greater civic engagement.